XLS 45 + Mon Ventre Plat (my flat stomach) is a dietary supplement manufactured in Europe by XLS Medical. The company is probably most respected for its fat blocking and carbohydrate blocking products, which are readily available in Pharmacies, supermarkets, and online stores all over the UK. However, XLS Medical also produces a number of other products that appear to specifically aimed at French citizens. XLS 45 +Mon Ventre Plat is one of these products so, although it is still possible to find a supplier that’s based in the UK, all of the product information on the packaging will be written in French. What is XLS 45 + Mon Ventre Plat and How Does it Work? 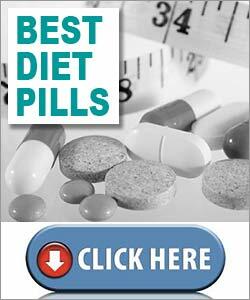 XLS 45 + Mon Ventre Plat is a capsule-type diet pill designed specifically for women who are in a pre-menopausal or menopausal state. It’s intended to function as a fat burner that targets the stomach area and burns belly fat. Hence the name. Fat burning can be triggered in a number of ways. One of the most common ways is to speed up the metabolism and some diet pills accomplish this by using stimulants, so it’s no surprise that Guarana (a source of caffeine) is listed as one of the key ingredients. However, no matter how it’s achieved, a faster metabolism burns through calories more quickly and if this leads to a calorie shortage the body will have to start burning fat instead. Although the formulation of ingredients used in XLS 45 + Mon Ventre Plat may look quite impressive, this is far from being the case. Most of the inclusions are bulking agents, colourants, and anti-caking agents. The only ingredients that may directly influence body fat are ascophyllum nodosum, guarana, and (possibly) ginseng. It’s also worth noting the presence of these three ingredients is unlikely to make the formulation more viable for women (menopausal or not) than men. Neither will it be able to target fat in a specific area of the body. However, guarana provides a slow release of caffeine, and caffeine is a proven metabolism booster and thermogenic fat burner. Ascophyllum nodosum is a seaweed derivative that acts as a fat blocker and further supports weight loss by suppressing the appetite and providing the thyroid gland with extra iodine. The thyroid uses iodine to manufacture the hormones the body uses to regulate the metabolism, so ascophyllum nodosum is easily the most versatile of the three ingredients used in the XLS 45 + formulation. Ginseng is an adaptogen herb that’s been favoured by Chinese herbalists for hundreds of years. A study published in the Physiotherapy Research Journal (2008) shows it may have potential as a weight loss ingredient. This is believed to be due to component called RG3 that appears to inhibit fat storage. There have been no human-based studies yet, but it seems to work for mice. Usage Instructions – Two capsules are required each day and should be taken after breakfast with a large glass of water. Customer reviews are a mix of good and bad. Some women give the product a big thumbs up, other say it did nothing at all for them, while still others appear to be undecided about its merits. No side effects have been reported, but XLS 45 + Mon Ventre Plat will not be suitable for women who are pregnant or nursing a child. The caffeine content will also make the pills a poor option for anyone who has a problem handling products that contain stimulants. Women who are under a doctor’s care are advised to seek medical approval before using this product. 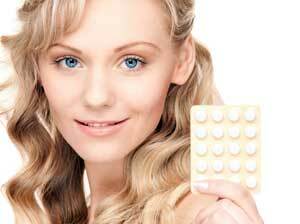 The same advice is offered to women who are using medication or planning on using XLS 45 + alongside another supplement. XLS 45 + Flat Stomach is available from numerous online stores all over Europe. It’s also possible to buy it from Amazon. Expect to pay around £13 to £16 per 30-capsule pack. The price is cheap, but it’s not quite as good as it appears to be because each pack is only good for 15 days, so the true cost of using this product is probably £26 to £32 per month. Customers who buy XLS 45 + are not offered a money back guarantee. Even when you are using two boxes a month, XLS 45 + is still a little cheaper than most competing products, but customer reviews suggest the formulation does not work for everyone, and there is no money back guarantee, so customers who buy XLS 45 + are still gambling with their money and, although the formulation contains some valid ingredients, it’s not as powerful as the formulations used in some competing products. As for the claims that the product can target the belly fat of pre-menopausal and menopausal women, those are best taken with a dose of salt. It’s just marketing stuff. There are several weight loss product that we recommend over XLS 45+ with perhaps the best being PhenQ. PhenQ is has many benefits; it can burn excess body fat, stop the production of new fat and also suppress appetite. It also not aimed at any specific age group or gender.